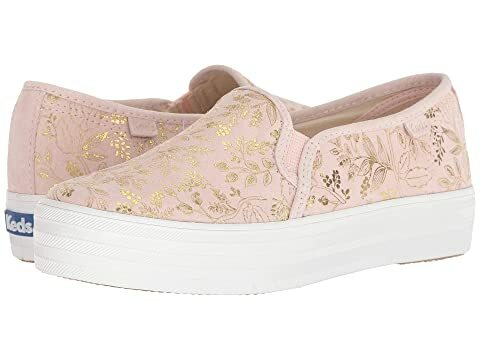 « Back | Shoes › Sneakers & Athletic Shoes › Keds x Rifle Paper Co.
From street style to dressy Bessy, you can have it all with the Keds® x Rifle Paper Co.™ Triple Decker Forest platform sneaker. Allover intricate, ornate gold foil floral print. We can't currently find any similar items for the Triple Decker Forest by Keds x Rifle Paper Co.. Sorry!